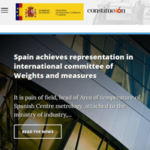 Pangeanic – PangeaMT is proud to announce the successful completion of its project CEF (Connecting Europe Facility) 2016-EU-IA-0132 with the European Commission following its final presentation at the Ministry of Energy headquarters in Madrid (Spain). iADAATPA becomes MT-Hub and it will provide a single access point to several machine translation providers, thus facilitating the adoption of machine translation for EU Member States’ Public Administrations. iADAATPA (Intelligent, Automatic , Domain-Adapted Automatic Translation for Public Administrations) became MT-Hub, a platform that was launched on February 28. This solution has been designed by a consortium of machine translation companies (KantanMT, Prompsit, Tilde) led by Pangeanic – PangeaMT with Everis and Dublin City College as partners and a strong involvement of the Spanish Public Administrations (Digital Agenda). The platform will provide automatic translation for Public Administrations of the European Union and will support the European Commission’s efforts for the adoption of technology and the modernization of the digital infrastructures of the public administrations of the Union. The mission of the project was to provide a highly secure (AS/4 compatible, Domibus) and scalable infrastructure service serving as a Digital Service Infrastructure (DSI). The programme was developed by the iADAATPA consortium, which received funding from the European Commission’s Executive Agency for Innovation and Networks (INEA grant No INEA/CEF/ICT/A2016/1331703). This is the largest financial investment CEF has made to date for machine translation technologies and digital infrastructures. This has been recognised as a milestone in the development and adoption of automatic translation for Public Administrations, especially that based on neural networks. 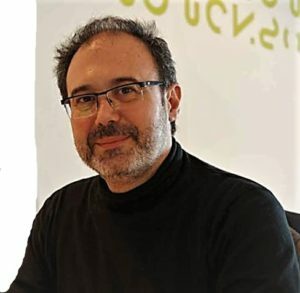 In addition to the 4 commercial partners (Pangeanic, KantanMT, Prompsit and Tilde), the consortium has counted on the presence of Everis and DCU, with the support of the Spanish Public Administrations (Department of Transparency and Open Data of the Generalitat Valenciana, as well as Segittur and SEAD/SESIAD). Partner Tilde involved the Lithuanian Parliament as a user of the service, and Pangeanic involved the foreign service of the German public television, Deutsche Welle. MT-Hub is designed to accelerate pan-European connectivity, improve access to digital services by encouraging the use of automatic translation for public administrations in EU Member States, and to facilitate interoperability between digital services and link national infrastructures to the main existing EC eTranslation services. Manuel Herranz, CEO of PangeaMT, said: “iADAATPA has marked a turning point in our history. The challenge was enormous as we had to overcome commercial and architectural preferences.But it has been a wonderful challenge handled with very high levels of professionalism. All development teams have worked well in harmany and Everis has been very professional in its testing and management, finding possible scenarios for deploying the platform. We are delighted to have successfully achieved the goal set by CEF. Pangeanic – PangeaMT has been in charge of the security features of the platform and has overseen the good development of the architecture, with the coding done in KantanMT. The Alfa version of the platform was launched in April 2018, followed by the Beta version in September 2018. 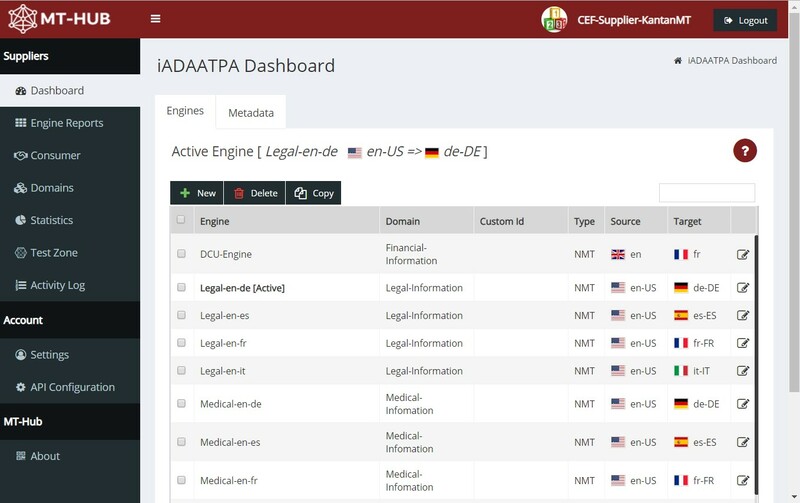 Being a project funded by the European Commission, the code for this new technology platform is available to the open source user community at https://github.com/iADAATPA. It is available under the GNU General Purpose License v3.0. Integration with CMS: OpenCMS, Browser Plugins. PangeaMT provides machine translation systems . It is a leading Artificial Intelligence Amplified Natural Language Processing company that offers a complete language processing ecosystem and allows users to process it and extract processable knowledge and information from Big Data. Projects range from automatic data domain classification to anonymization, neural network-based automatic translation, content summarization, e-Discovery and many other areas. The innovative technologies offered by PangeaMT enable Fintech, LegalTech and Insurtech companies to enhance their offerings with massive linguistic processing intelligence, in any language. PangeaMT is headquartered at Innsomnia, Moll de Ponent 5, Valencia – Spain.